The IWGB has launched a campaign to end the use of zero-hour contracts by catering contractor Aramark at the University of London, and we were out leafleting this morning (thanks to all who helped!) as part of the first stage of building awareness among staff and visitors of this issue. More details can be found below, but please do get in touch with us at uol@iwgb.org.uk if you are interested in helping with the campaign in any way. We plan to write officially to the University and Aramark next week, and to escalate the campaign should they prove unwilling to end these exploitative working practices, which no other employees at the University endure. 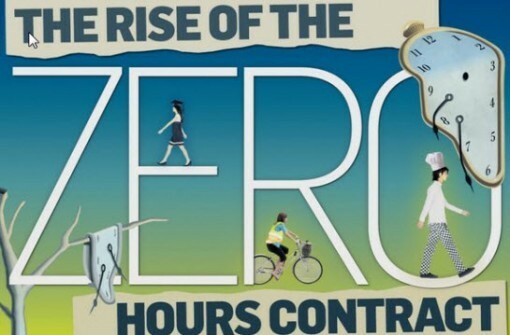 The University claims that it does not use zero-hour contracts itself, but cannot control how its contractors run their businesses. This is not true – after the 2011 Living Wage Campaign it made its contractors pay the London Living Wage. After the 2013 3 Cosas Campaign it made its contractors pay improved sick and holiday pay. The University of London could ban zero-hour contracts tomorrow – it would cost next to nothing, and would vastly improve the quality of life of many of our colleagues.